Protect your saddlebag/tour-pak & add storage! 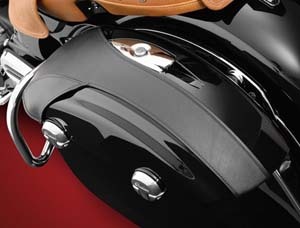 LC-389: It's no secret that Harley® FL touring riders have a reputation for putting hard miles on their baggers--which can mean scuffed or scratched hard saddlebag lids! Whether you want to hide those battered bag lids or wisely protect their showroom-fresh look, seasoned riders know that lid covers are the perfect solution. These form-fitted lid covers are made from the highest quality expanded vinyl and are uniquely designed to fit snugly with no wrinkles, unsightly straps or Velcro tabs. Made in the USA. LC-100: Sold as a set (one pair per order). 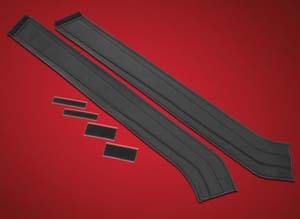 Synthetic stretch fabric and heavy duty elastic trim. Stretch installation. Manufactured in USA with 12 – month OEM limited warranty. Protection, durable, breathable, quality material protects painted surface from common daily wear without damaging clear-coat paint finish. Stretchable tight fit fabric allows for a tight, secure, contoured fit around hard bag lid. Compact size and washable unique material and design allows for easy cleaning, quick drying and compact storage when not in use. Allows for quick and easy installation and removal of the mask with no cutting, drilling or permanent alteration to the motorcycle required. 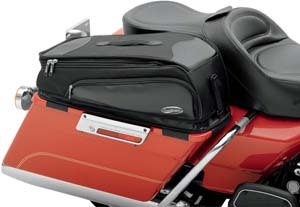 Fits all Harley-Davidson touring motorcycles equipped with Hard Bags. 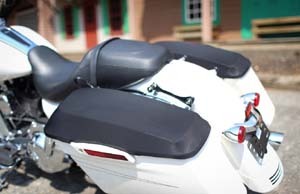 LC-013: Our all new Saddlebag Lid Bra Set for the Harley FLH. Stop the scratches and cover those that might be there with this Black Classic Lid Bra Set for 2014 and newer FLH. 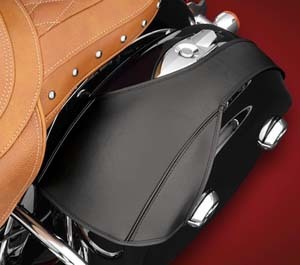 A tapered design leaves the saddlebag lids exposed while protecting and covering the front portion. Secured in place with hook and loop to the inside top of the saddlebag lid in four locations for a secure fit. Removes easily for cleaning andwaxing. Made in USA. LC-012: Similar to above but for 1993 - 2-13 models. 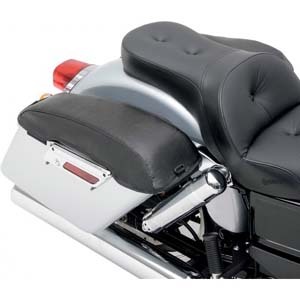 LC-LR: Saddle Bag Lid Covers complete the leather look of your bike. They not only look great, but our full-coverage covers prevent passenger boot scuffs. Companion product to the BRA-LR. Special order, custom made to order. 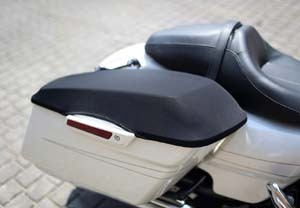 LC-203: This sewn product is a custom tailored saddlebag lid protector. 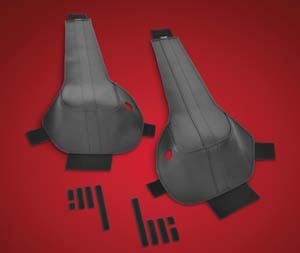 Saddlebag Lid Bras are designed to help minimize scratches to your saddlebag lid or cover those that already exist. The taperedlid bra design leaves the saddlebag lid artfully protected, covering the front face and gently tapering to the rear. Secured in place with strategically placed hook and loop fasteners to the inside of the saddlebag lid. Easily removes for cleaningand waxing. 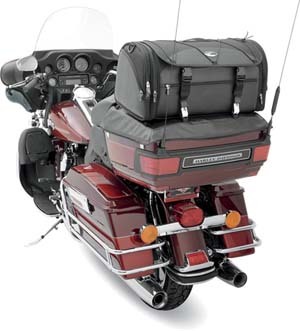 Designed to fit Indian Roadmaster, Chieftain and Springfield hard bags from 2014 to Newer. Made in USA. SC-454R: For MY 2014 to current. 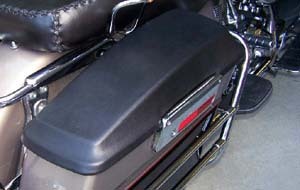 Protect your bagger’s saddlebag lids with these handy covers. The soft backside is gentle to your paint, and the durable, weather impervious exterior keeps away road debris, boot scuffs and other dangers to your expensive bags. When you need just a little bit more luggage capacity, attach the Lid Storage Bags for an extra few days’ worth of gear. The black SaddleTuff™ material and artful contours blend seamlessly into any bike’s design, and they couldn’t be more convenient. They’re expandable, and will not interfere with saddlebag operation or tour pack. 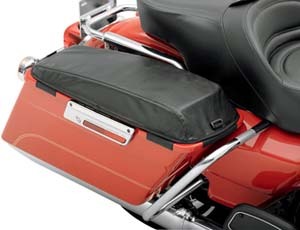 SC-454: Protect your bagger’s saddlebag lids with these handy covers. The soft backside is gentle to your paint, and the durable, weather impervious exterior keeps away road debris, boot scuffs and other dangers to your expensive bags. When you need just a little bit more luggage capacity, attach the Lid Storage Bags for an extra few days’ worth of gear. The black SaddleTuff™ material and artful contours blend seamlessly into any bike’s design, and they couldn’t be more convenient. They’re expandable, and will not interfere with saddlebag operation or tour pack. Fits up through MY '13. 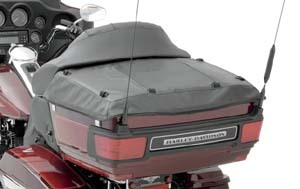 SC-453: Protect your bagger’s saddlebag lids with these handy covers. The soft backside is gentle to your paint, and the durable, weather impervious exterior keeps away road debris, boot scuffs and other dangers to your expensive bags. The rugged SaddleTuff™ exterior has a leather grain that matches most seats. 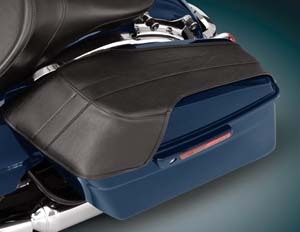 SC-756: Saddlebag chaps protect saddlebag lids; soft backside is gentle on paint, and the durable, weather-resistant exterior protects against road debris, boot scuffs and other dangers to the expensive hard bags. 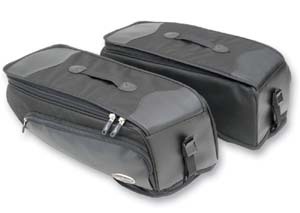 Lid storage bags add more luggage capacity for day trips, are expandable, and will not interfere with saddlebag operation; black SaddleTuff™ 1200-denier ballistic nylon construction blends seamlessly into any bike’s design. Fits 2012 - current Dyna Switchback. 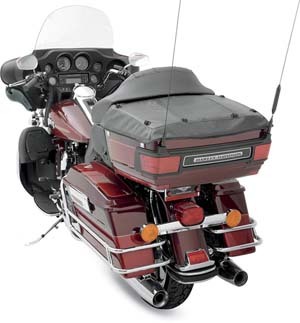 SC-755: Saddlebag chaps protect bagger's saddlebag lids; soft backside is gentle on paint, and the durable, weather-resistant exterior protects against road debris, boot scuffs and other dangers to the expensive hard bags. Lid storage bags add more luggage capacity for day trips, are expandable, and will not interfere with saddlebag operation; black SaddleTuff? 1200-denier ballistic nylon construction blends seamlessly into any bike's design. 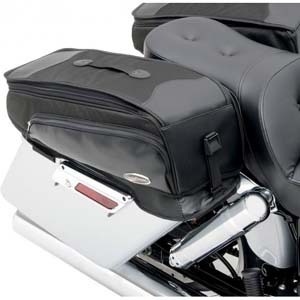 Chaps and bags are easy to install, with no drilling or bike modification necessary. Attach securely; easy on, easy off. Fits 2012 - current Dyna Switchback. 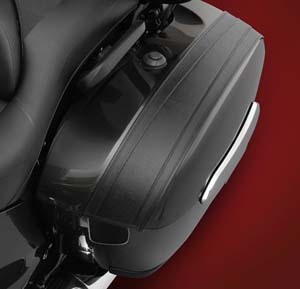 SB-123: Saddlebag Lid Bras, Black for Hard Bags, for Yamaha Star Venture/Eluder, made in USA. TC-065: The Tour Trunk Chap adds to your Dresser’s looks while protecting your investment. This stitched cover is form-fitted to your bike’s Tour Pak, with a soft backside that takes care of your paint. It’s a great looking way to protect your bike from sun damage, weather, dirt, road debris and loading mishaps. In addition to all this protection, the rugged leather-grain vinyl goes with the look of any bike. The Tour Trunk Chap easily attaches with hook-and-loop tape, hidden from view, safely seperated from the bike's finish, and comes off in seconds. 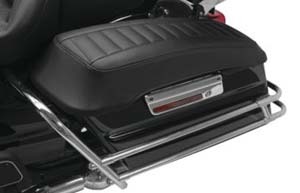 As an added feature, there are D-ring attachments to accommodate Saddlemen’s TR3300DE Deluxe Rack Back, providing the option of extra touring luggage without the need for a chrome trunk rack.